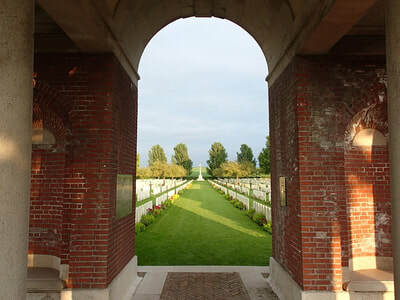 Warlencourt British Cemetery lies on the east side of the D929, to the south-east of Warlencourt village and 5 kilometres south-west of Bapaume. CWGC signposts on the D929 give advance warning of arrival at the Cemetery. Wheelchair access to the site is possible, but may be by alternative entrance. 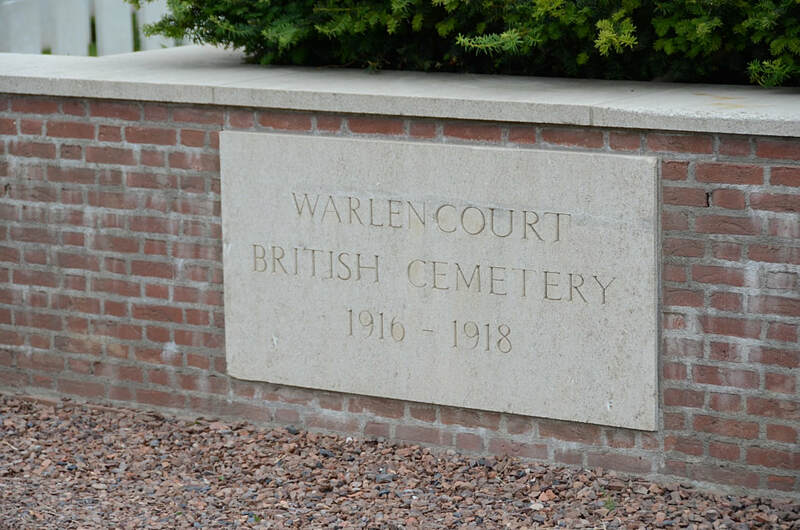 Warlencourt, the Butte de Warlencourt and Eaucourt-L'Abbaye were the scene of very fierce fighting in 1916. Eaucourt was taken by the 47th (London) Division early in October. The Butte (a Roman mound of excavated chalk, about 17 metres high, once covered with pines) was attacked by that and other divisions, but it was not relinquished by the Germans until the following 26 February, when they withdrew to the Hindenburg Line. 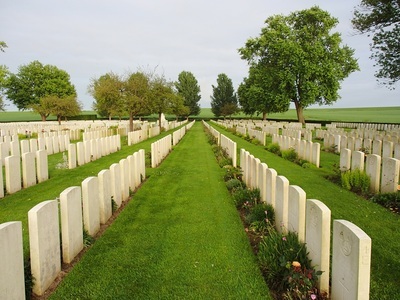 The cemetery was made late in 1919 when graves were brought in from small cemeteries and the battlefields of Warlencourt and Le Sars. 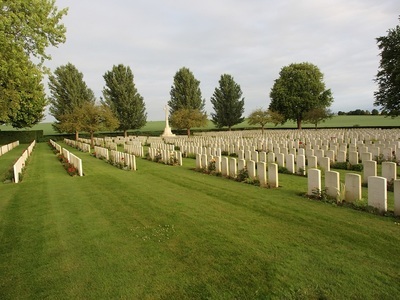 HEXHAM ROAD CEMETERY, LE SARS, on the West side of the Abbey grounds. (Hexham Road was the name given to the road leading from Warlencourt to Eaucourt. 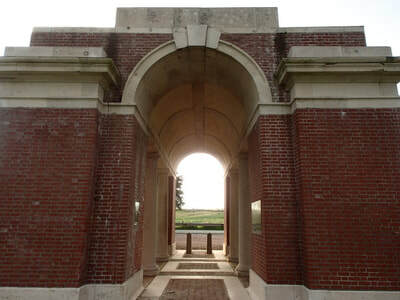 Le Sars was captured by the 23rd Division on 7 October 1916, and again by the Third Army on 25 August 1918.) 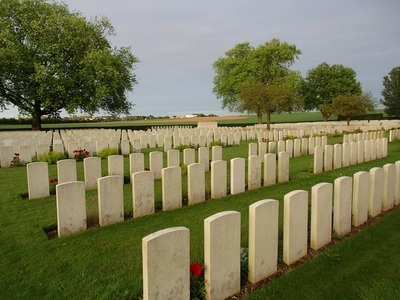 This cemetery was used from November 1916 to October 1917, and contained the graves of 17 soldiers from the United Kingdom and 13 from Australia. 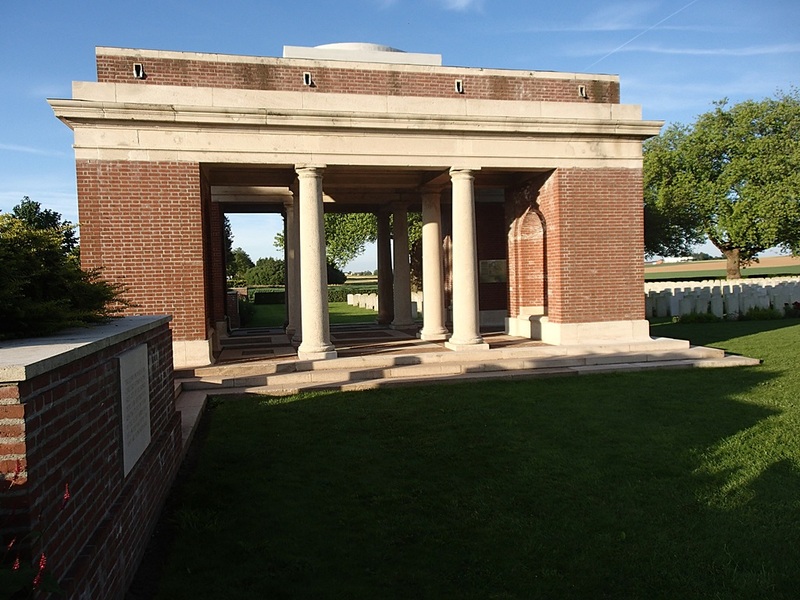 The cemetery now contains 3,505 Commonwealth burials and commemorations of the First World War. 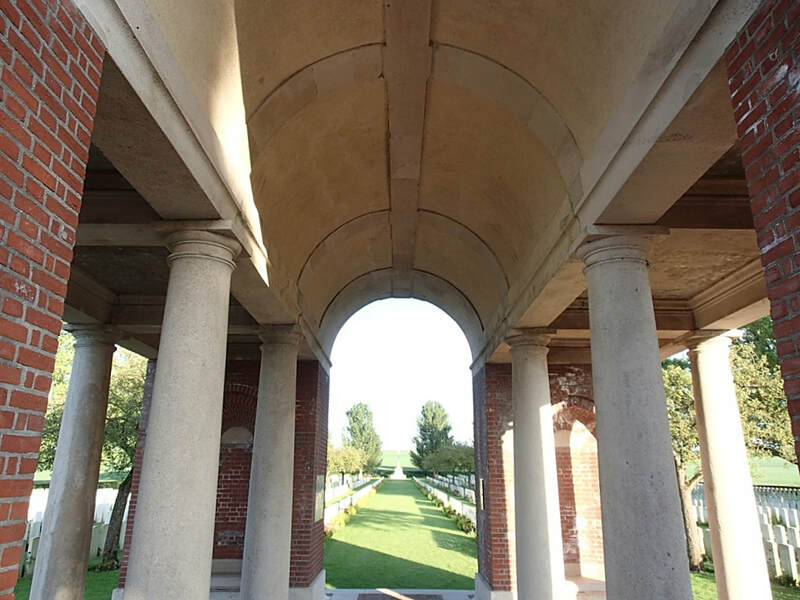 1,823 of the burials are unidentified but there are special memorials to 55 casualties known or believed to be buried among them. 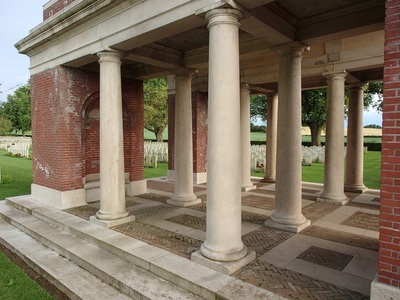 Other special memorials commemorate 15 casualties buried in Hexham Road Cemetery, whose graves were destroyed by shell fire. 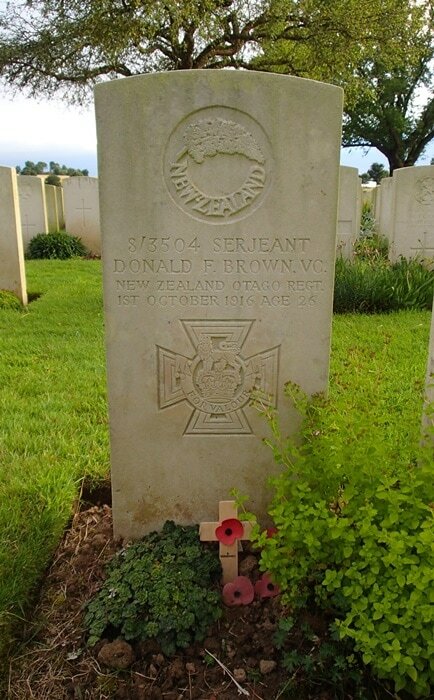 Serjeant Donald Forrester Brown V. C.
2nd Bn. Otago Regiment, New Zealand Expeditionary Force, killed in action 1st October 1916 aged 26, plot III. F. 11. Son of Robert and Jessie Brown, of Wharf St., Oamaru, New Zealand. Native of Dunedin. Citation: An extract from the London Gazette, No. 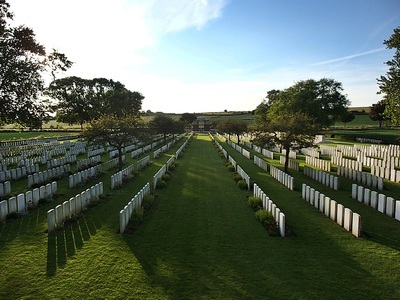 30130, dated 14th July, 1917, records the following:-"For most conspicuous bravery and determination in attack (south-east of High Wood, France, on September 15, 1916), when the company to which he belonged had suffered very heavy casualties in officers and men from machine gun fire. At great personal risk this N.C.O.advanced with a comrade and succeeded in reaching a point within 30 yds. of the enemy guns. 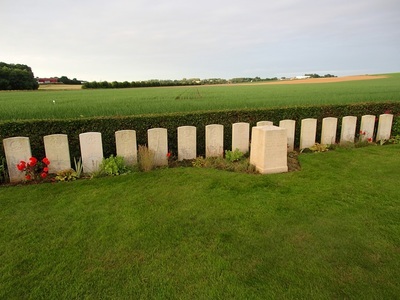 Four of the gun crew were killed and the gun captured. The advance of the company was continued until it was again held up by machine gun fire. Again Serjt. Brown and his comrade, with great gallantry, rushed the gun and killed the crew. After this second position had been won, the company came under very heavy shell fire, and the utter contempt for danger and coolness under fire of this N.C.O. did much to keep up the spirit of his men. On a subsequent occasion in attack, Serjt. Brown showed most conspicuous gallantry. 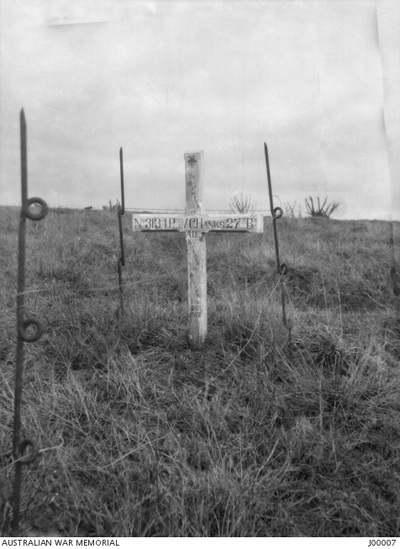 He attacked, single handed, a machine gun which was holding up the attack, killed the gun crew, and captured the gun. Later, whilst sniping the retreating enemy, this very gallant soldier was killed." 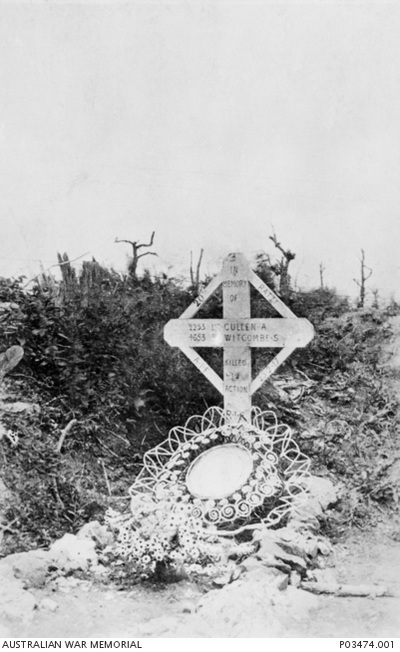 Initially after his act of heroism, Donald Brown's company commander had recommended him for a Distinguished Conduct Medal although his battalion commander had written to Brown's father indicating that he had hoped that Brown's recommendation would be upgraded to a Victoria Cross. However, with Brown's death it was not until the officers of his battalion started agitating for a Victoria Cross nomination that any progress was made. 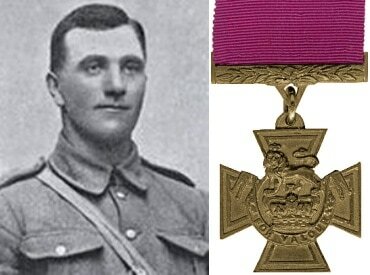 The award of the Victoria Cross to Brown, the first earned by a soldier of the N.Z.E.F. on the Western Front, was gazetted on 15 June 1917, and it was duly presented to his father by the 2nd Earl of Liverpool, New Zealand's Governor General, on 30 August 1917. 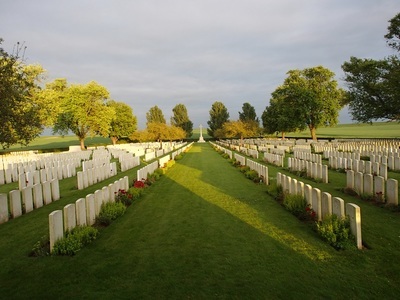 The Butte de Warlencourt is an ancient burial mound alongside the Albert-Bapaume road, north-east of the village of Le Sars in the Somme département of northern France. 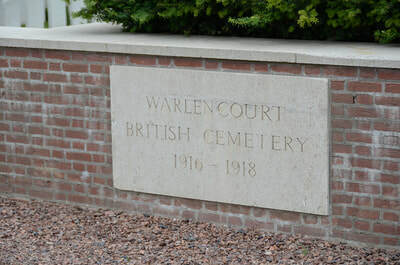 It is located on the territory of the commune of Warlencourt-Eaucourt. 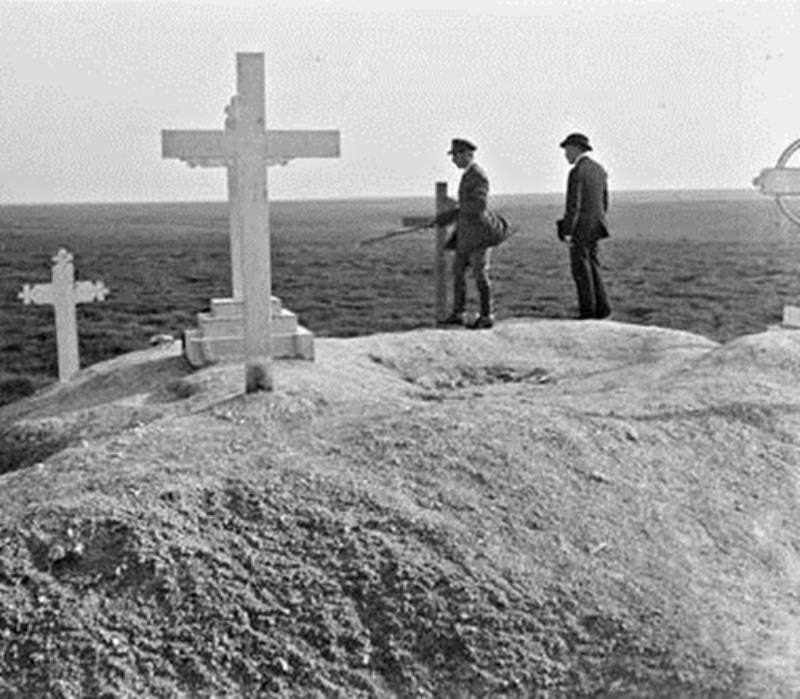 During the final stages of the 1916 Battle of the Somme, the Butte de Warlencourt was the subject of a number of costly and unsuccessful attacks by the British Fourth Army. 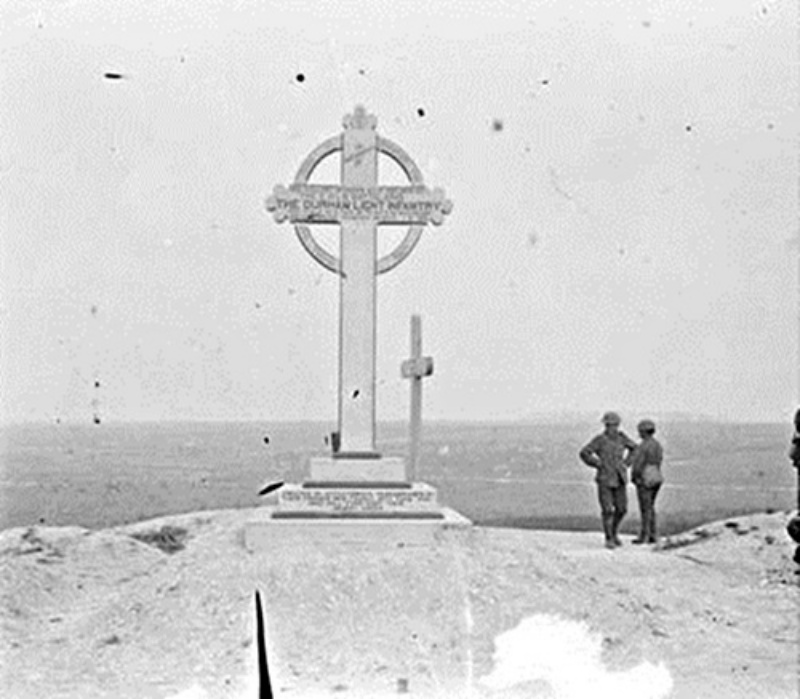 It was captured by the British after the German retreat to the Hindenburg Line in February 1917. 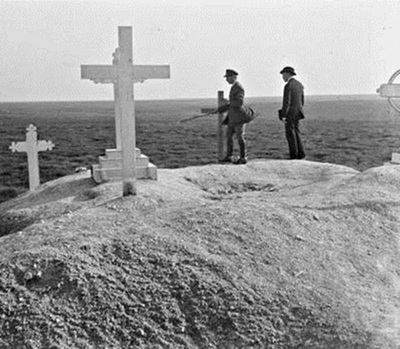 The Butte de Warlencourt earned an evil reputation because the Butte dominated the British lines and was used by the Germans for artillery observation. 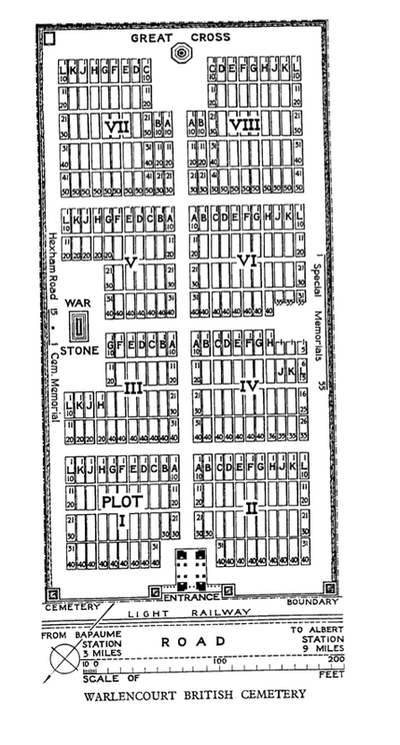 The Germans also constructed deep dugouts throughout the Butte, making it a formidable defensive position. "From across the valley the enemy had magnificent observation of the ground leading to our objective, and made full use of it... not a man turned back, and some got right up under the Butte, but they were not seen again." "The Butte itself would have been of little use to us for the purposes of observation. But the Butte de Warlencourt had become an obsession. Everybody wanted it. It loomed large in the minds of the soldiers in the forward area and they attributed many of their misfortunes to it. ... So it had to be taken. 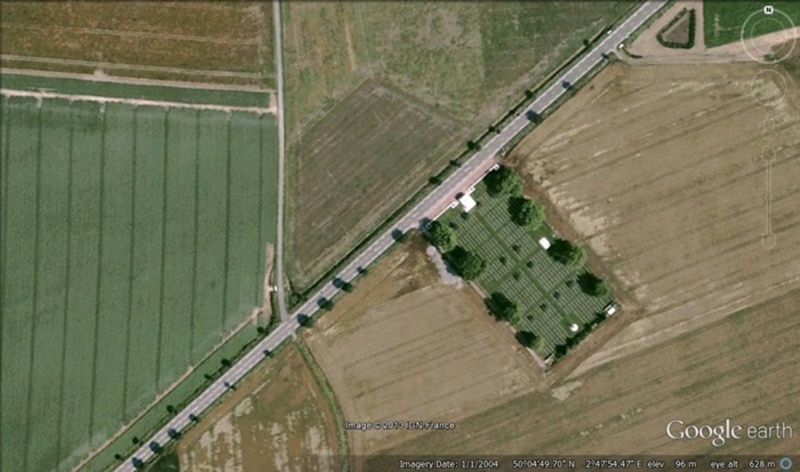 It seems that the attack was one of those tempting, and unfortunately at one period frequent, local operations which are so costly and which are rarely worthwhile. But perhaps that is only the narrow view of the Regimental Officer." 'Pale gold against the eastern sky, with the mangled remains of trees and houses, which was once Le Sars, on its left. But what must it have looked like when the So mme was covered with snow, and the white-garmented Tommies used to raid it at night? It must surely have been a ghostly sight then, in the winter of 1916'. Orpen later executed a landscape of the Butte, and another, a portrait showing a British soldier sitting upon it in a manner evoking Rodin's The Thinker (Picture above). 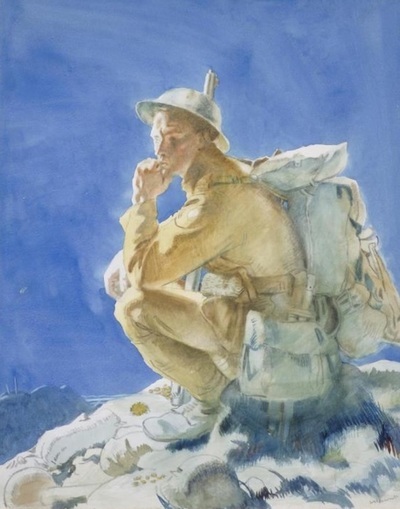 Orpen later gifted both paintings to the Imperial War Museum. British war artist Christopher R. W. Nevinson also depicted the Butte in a pencil and chalk sketch, later acquired by the British Council. 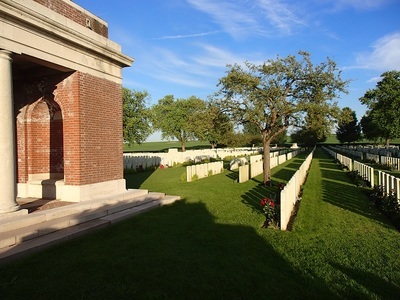 17th October 1916, aged 22. Son of Thomas and Annie Louisa Balkwill, of 38, Buchanan Gardens, Kensal Rise, London. 18th October 1916, aged 31. Son of Henry Brown, of 24, Eyot Gardens, Hammersmith, London, England. 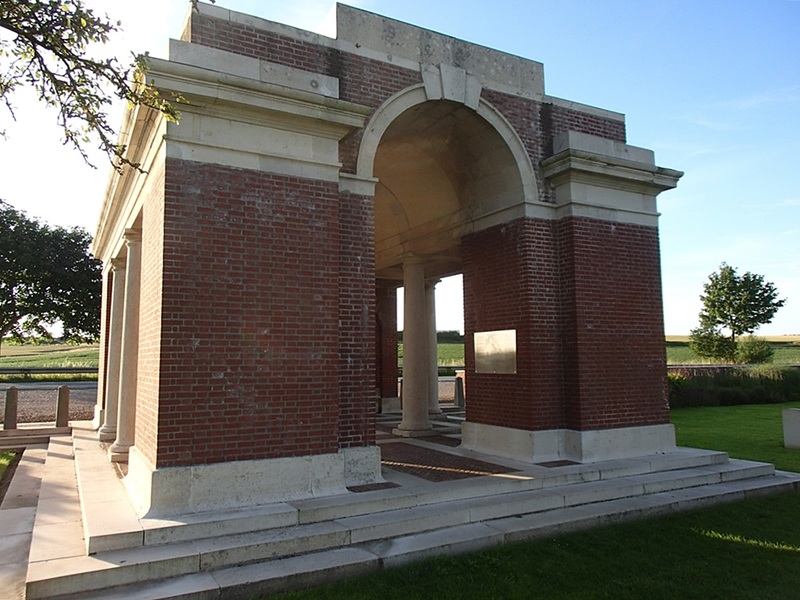 William Price Vivian Coles, M. M.
7th October 1916, aged 21. Son of S. H. and W. E. Coles. 25th September 1916, aged 18. Son of Mr. C. S. Collen, of 67, Victoria Avenue, Southend-on-Sea. 1st March 1917, aged 31. Son of John and Emily Knight, of Crown Flat, Araluen, New South Wales. 3rd Bn. attached to 7th Bn. Seaforth Highlanders. 12th October 1916, aged 18. Son of Vivian G. O. McLaughlin, J.P., and Edith J. McLaughlin, of 5, Walpole St., Chelsea, London. 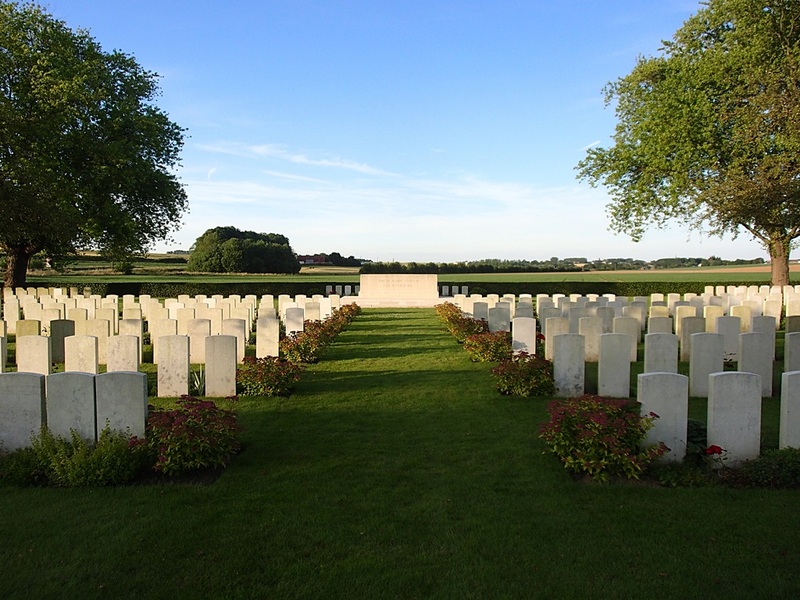 7th October 1916, aged 19. Son of George and Amelia Sarah Rowson, of 25, Victoria Street, Paddington Green, London. Son of David and Margaret Caldwell, of 83, Whitmore Square, Adelaide, South Australia. A carpenter before his enlistment in January 1915, he embarked from Adelaide, on HMAT Geelong with the rank of sergeant and service number 290. Later promoted to the rank of Lieutenant, Caldwell was killed in action during an attack on Malt Trench at the Butte de Warlencourt on 2 March 1917, aged 24. 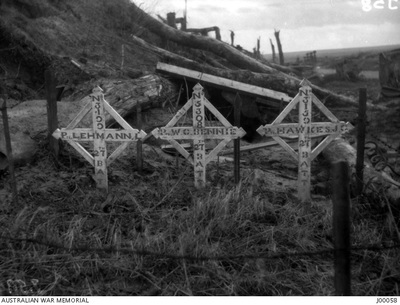 The second image shows the grave of Lieutenant (Lt) David Wallace Caldwell, enlisted Semaphore, SA, and Lt Robert Hillman Botten of Adelaide, SA, and Lt Arthur Lucas of Adelaide, SA, all of the 27th Battalion, killed in action 2 March 1917, are buried together in Warlencourt British Cemetery. ​27th Bn. Australian Infantry, A. I. F.
2nd March 1917, aged 28. ​Son of Robert and Ann Jane Botten; husband of Ethel Rose Botten, of "Dimora," Kensington Rd., Leabrook, South Australia. Native of Adelaide, South Australia. A 27 year old bank official from Prospect, South Australia when he enlisted on 29 September 1915. He embarked for overseas with the15th Reinforcements from Adelaide on 28 August 1916 aboard HMAT Anchises. After being promoted to Lieutenant, he was killed in action on 2 March 1917 while participating in an attack on a German position and was buried at Sunken Road leading off the main Bapaume Road in the village of Warlencourt, France. 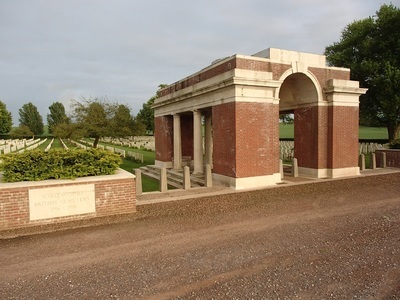 Lieutenant Botten was later re-interred in the Warlencourt British Cemetery. 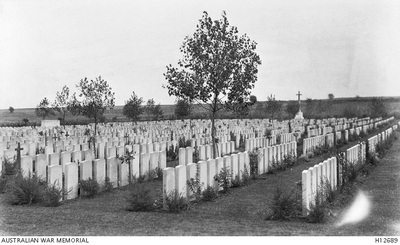 ​The second image shows the grave of Lieutenant (Lt) David Wallace Caldwell, enlisted Semaphore, SA, and Lt Robert Hillman Botten of Adelaide, SA, and Lt Arthur Lucas of Adelaide, SA, all of the 27th Battalion, killed in action 2 March 1917, are buried together in Warlencourt British Cemetery. 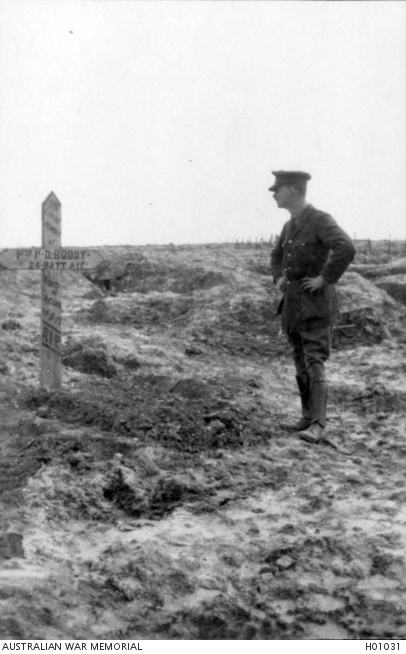 2nd March 1917, aged 35. Son of William Arthur and Mary Annette Lucas. Native of Adelaide, South Australia. ​A 33 year old storeman prior to enlisting on 6 September 1915, he was quickly promoted up through the non-commissioned ranks and then appointed a 2nd Lt on 1 May 1916. He embarked for overseas with the 4th Reinforcements of the 50th Battalion from Adelaide on 12 August 1916 aboard HMAT Ballarat. After joining the 50th Battalion in France on 29 October 1916, he transferred to the 27th Battalion on 25 January 1917. 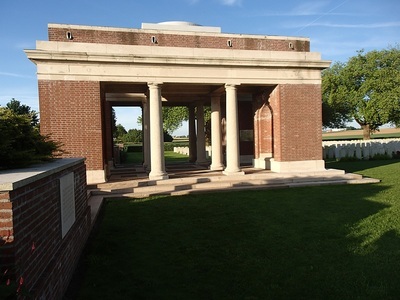 2nd Lt Lucas was killed in action at Warlencourt, France on 2 March 1917 and buried in the Warlencourt British Cemetery.